Many of us mistakenly think that hair loss is only men problem. The same ugly problem appears in life of men and women both equally. But you should know that women can much easier make their hair to grow back. Let’s first investigate doctors’ researches and there we will find out what are main factors which lead to hair loss. Usually reasons are as follows: pregnancy and giving a birth, menopause, taking medicines and stress. These are not the only reasons. Interesting fact is that you can experience hair loss even when you try too hard to look after your hair or on the contrary forget to take care of your beautiful hair. Last scenario leads to experiencing weak hair and in the end to hair loss. Well known fact is that coloring hair too often can lead to the same results. If you are facing the problem of hair loss after giving birth or during pregnancy you should not worry. Your hair will grow and new hair will appear very soon. But if the reason of your hair loss is stress and tuff schedule of your day, absence of balanced meals and worrying all the time you should learn simple and easy ways to get calm, get rid of stress and start taking care of you and of your hair. Your body will be thankful and show you results of your work very soon. In case you notice that you lose more than usual you should use next advices and simple methods and make your hair grow. We often start to improve our health from the outside and we sometimes forget that our look depends on what we eat. Lifestyle along with diet is responsible for our appearance and via changing a bit our habits in lifestyle and food we can get impressive results in our appearance. Olive oil is the must! 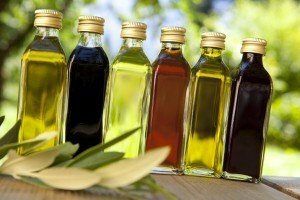 Olive oil for salads and cooking. Use it everywhere and with everything. One boiled egg a day will bring strength and power to your hair. Fish is huge source of vitamins but at the same time it brings shining to our hair. Avocado is well known and often used as a mask for hair and for face. But eating avocado is even better solution: you will get strong and healthy hair. Now let’s investigate which food is friendly and caring for our aim and will help our hair to grow. Our hair is mostly (70-80 percent) from the protein. 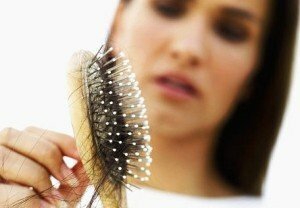 This is the most common reason why people struggle from weak hair and hair loss as soon as they try protein free diets. You should keep this in mind and schedule your meals accordingly. And we should also understand that B group vitamins are must in the diet. They are responsible for hair grow. Lack of these vitamins can cause hair loss. Most important is to remember that you cannot start eating vitamin containing products for a week and then stop it. 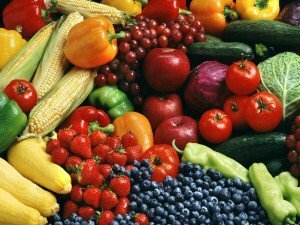 Our body cannot gather vitamins and it needs them all the time. So in case you know that your diet is lacking vitamins for hair you should immediately start eating properly. This is not the whole list but it is enough for start and there are much more sources of vitamins. You should step by step improve your diet. Start today and do not buy cookies or chocolate bar but search for nuts in the supermarket or on the market and have nuts as a snack. Important: What is good for hair recovery is green tea and fruits. These should be on your table every day. Make it your habit. Start today and promise yourself to give it a try for three whole weeks. In three weeks it will be already your habit and you will notice that it doesn’t take that much time. We are all concerned about time consuming processes and we sometimes even do not have time for our body. Unfortunately such lifestyle causes diseases and hair loss. But it is never too late to change our habits. 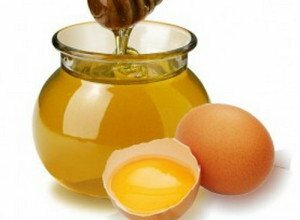 Take two egg yolks and mix them in the blender with two spoons of fresh raw honey. Add one table spoon of cognac (this is not obligatory) and 1 spoon of burdock oil. Substance will be very easily mixing. Warm up the substance in the bain-marie till it will be of the room temperature. Put everything on your wet hair and leave it on your head for about one hour. Wash your hair with soft shampoo. Squeeze juice from half of the lemon into the warmed oil. Warm mask put on the hair and leave it for one hour. Usually it takes 10-12 procedures every day to get results. Wash your hair after the mask with gentle moves under warm water. Take few leaves of aloe plant and take juice from the plant (you need 2 tea spoons of the juice). Mix in the bowl two tea spoons of aloe juice, one egg yolk, one tea spoon of honey and one spoon of garlic juice (it can be squeezed garlic with juice). Cover your wet hair with this mask and cover your head with warm material. Leave it on your head for thirty minutes. Wash your hair with gentle moves. Prepare strong green tea (do not use tea from the tea bag as there is no leaves and no vitamins there). Take two table spoons of tea and one egg yolk and mix them together into the foam looking substance. In case your substance is too thick add a bit more tea. Cover your wet hair with the mask and put in your hair a shower cap. Wash it off with soft and nice movements. Green tea is full of antioxidants and it helps to stimulate growing new hairs. Homemade masks will be helpful for any color, length or type of the hair. Every hair has the same structure and the same follicles. We need to activate and help follicles by giving him rest, vitamins, relaxing massage via implementing one of the masks. Important: Sometimes skin on the head can start irritating when you use garlic containing mask. In this case you can just skip this ingredient and still get recovery for your hair. Most important is to wake up our follicles and for this purpose every single time when you wash your head give yourself gentle and nice massage. When it comes to oils we deal with smell. You choose the one which is suitable for you. All the oils are perfect for hair. Warm up oil a bit. Usually oil for massaging our head with it should be warm as our body or even a bit warmer. It helps to stop hair loss and make our hair grow. With gentle moves cover your head and especially scalp with oil (take your time and do not be in a hurry, give yourself nice gentle massage). Leave oil on your head for about one hour. Wear shower cap and relax while you have oil on your head. After an hour just wash your hair regularly. Important: Before implementing oil for the whole hour you should make a test and cover small part on your hand on the wrist with oil and leave it for an hour. This part of our skin is very sensitive. In case you do not get any negative skin reaction go ahead and use oil for your head. Sometimes our usual routine is ruining our health. Maybe no one ever told us simple rules and showed us how we should care about our hair. We only know basic idea that we should wash it and brush. But we should learn more and understand that beauty industry around us is making us dependable. They sell us stupid pills or masks and full us around with some fake researches. What is true is what we experience and what people know for ages now. In case you experience all of a sudden hair loss start to wash your hair not that often. You lose more hairs on the day of washing your hair. Stop using hairdryer. It makes your hair weaker and too dry. More than that you lose hair a lot in case you brush your hair while it is still dry. Switch to baby shampoo and you will feel how your hair is immediately getting softer. Make yourself massage of head at least once a week with oil and you will prevent head skin from over drying. Stop using hair styling devices. All kinds of cosmetics like gel, wax, and hairspray in case they stay on your head at night cause very unpleasant effect. Hairs stick to the pillow and after all you can see much more hairs on your pillow in the morning. Always wash your hair after using these styling cosmetics. Make sure that your haircut is not causing any problems. Do not use too tight rubbers for hair. Do not pull your hair too much. Try to give your hair one day of complete rest. Rest from cosmetics and any manipulations. Important: Do not think that much and stop concentrating on other people. No one will notice that you changed your habits. Try to find someone who will support you and you will succeed easier. You can forget about perfect and healthy hair in case you wash your hair every day with regular shampoo. Normal quantity of washing hair is two – three times a week. In case you cannot switch to such amount at once you try to switch to day after day at first and after sometime make longer pauses. In case you wash your hair every day and are not ready to reduce quantity of washing you better use soft or kids shampoo. Cut your hair. No need to safe every millimeter. In case you do not do that regularly you are causing breaking of the hairs. 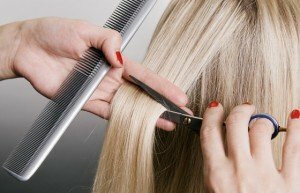 You can easily cut one centimeter every month and a half or two month. Important: Even thou brushing your hair after washing while hair as still wet is bad habit, brushing your hair during the day is on the contrary very good one. At least twice a day brush your hair and you will stimulate hair grow. Great tips. Thanks for sharing such helpful tips.